Vera Wang Princess perfumes have always been a favourite of mine, pretty, flirty and girly, everything you want in a summer fragrance. This season the new Vera Wang Hippie Princess Eau de Toilette is inspired by the carefree and bohemian lifestyle and features notes of mango, apple blossom, and freesia to give it a hip and trendy scent. 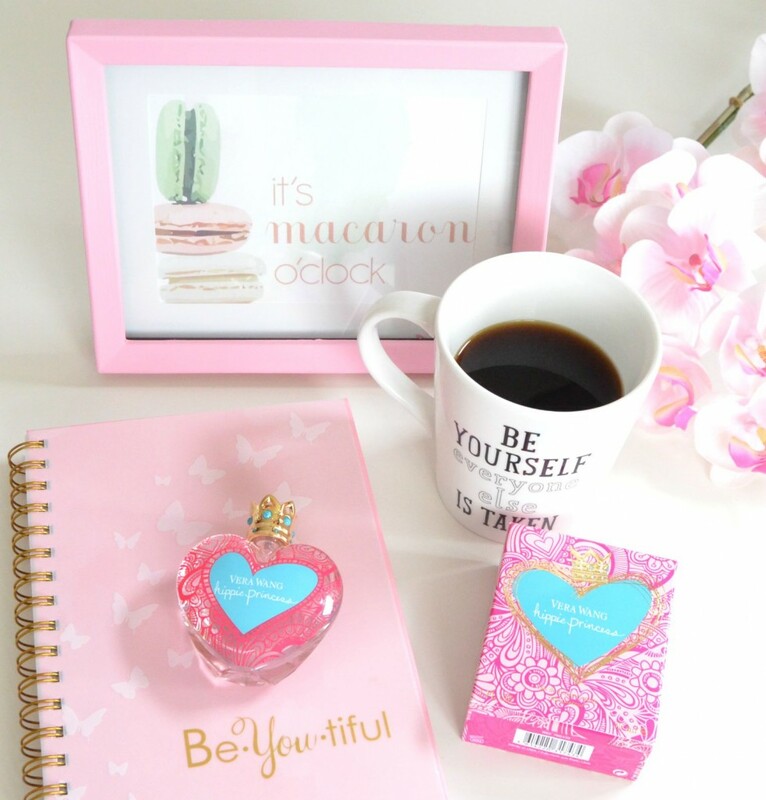 Vera Wang Hippie Princess Eau de Toilette comes in the iconic Vera Wang Princess clear, heart shaped glass bottle with adorable bright pink hand-drawn heart and flower doodles on the front. It features a crown cap bejeweled with teal beads that can also double as a ring, like all Princess perfumes. It has top notes of red mango, white freesia and apple blossom, middle notes of jasmine, lotus and apricot nectar and base notes of pink musk, blonde wood and vanilla. 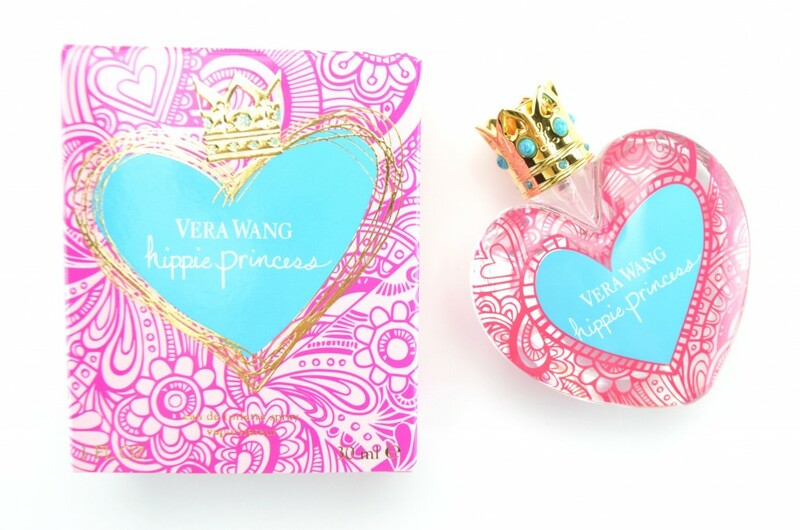 Although Vera Wang Hippie Princess Eau de Toilette is quite light and airy, which a lot of “hippies” wore in the 70’s, it doesn’t have that earthy and greener scent that you’d expect from a bohemian perfume. It’s designed for those that are happy, carefree and adventurous and is extremely uplifting, refreshing and playful, so I see where they were going with the name. It does, however, have the perfect blend of both fruits and floral, giving it a tropical, sweet and fun aroma that’s probably best suited for the hot, warm summer months. 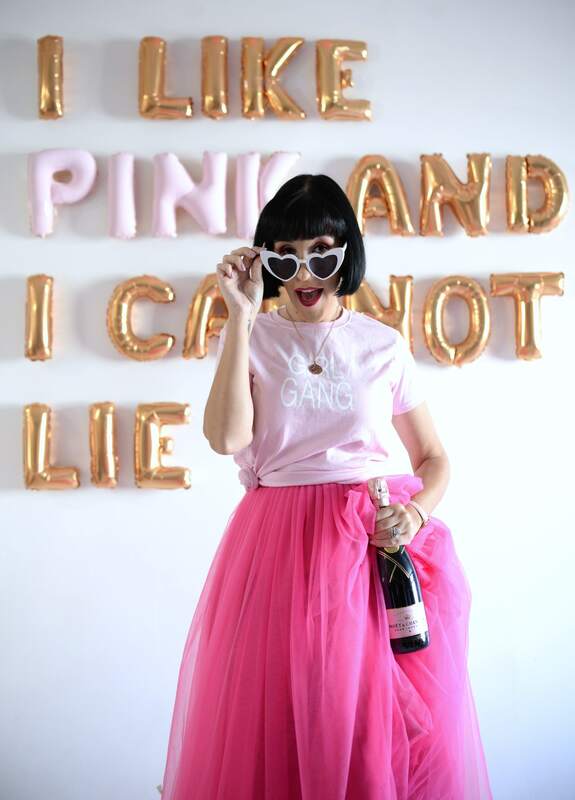 The heart of the perfume is where it really shines, it’s creamy, juicy and the mango is fairly prominent throughout the entire wear, although the base notes, especially the vanilla, help ground it. It’s very easy to wear, if you’re a fan of mango and vanilla, you’re going to love it. Those are the two showstoppers in this perfume. It does provide a slight sensual and romantic sensation that could easily take you well into the evening, however, I think it’s more of a daytime fragrance, if you ask me? Since it is an eau de toilette you can expect about 4 to 6 hours of wear time before it slowly starts to fade. It retails for $49 for 30ml.